Some of you know BEAR Racing who made Neat parts for his Bikes and I would get Group Buys to have him make the same things for us. After Years of having other people sell his things (Some at Prices he Hated) now you can go Directly to Him. I know the H2 People will love this! The Only Difference (For me) from Work and Retirement is?? I am now not paid and it is my own stuff I work on Every day! Hours and work conditions are also better!! Pierre knows the H2 already cost a Fortune and that people really want the H2R performance but Not at H2R Prices. The Testing of these products was not Cheap. They lost one bike when in top gear at about 220 MPH The front came up and did not stop. That is why the R has Wings and he has made even more. Later I will post a few pics of the Testing. The F-1 industry is doing well is SA which allows him to have the Best parts made. On the Gears, "Every" set it tested for Rockwell hardness and are machined more accurately than OEM Because his are Quieter. Me, I still prefer the ZX12R (Which also makes over 300 HP and my ZRX1100 which makes exactly 1/2 that amount. Let me know if you are ever going to be in the Tampa / St Petersburg area!! 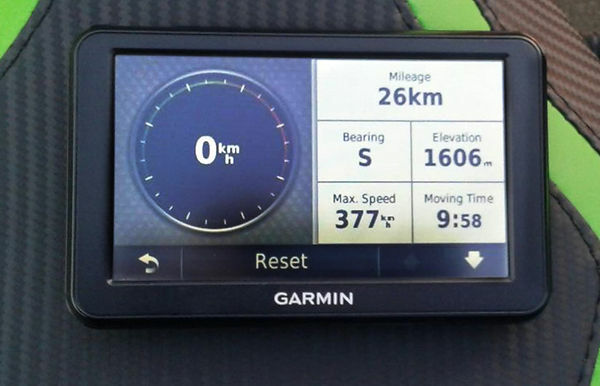 Impressive,, What is the model of the Garmin GPS shown in the picture above ? ?